Victoria is a destination requisite with craft breweries, artisan coffee shops and colourful creative neighbourhoods. This is Canada west coast style and we’re proud and fortunate to call this part of the world home. 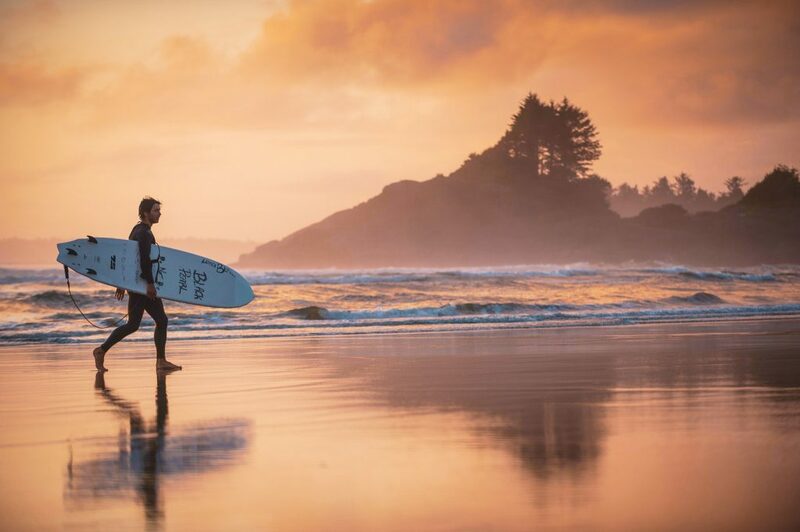 Head to Tofino, for windswept dramatic coastlines that are equally stunning in moody weather as they are in the sunshine, or drive the length of this island to discover why we call it Beautiful British Columbia. Immerse yourself in the history and heritage of this fort city and discover the unique architecture of Craigdarroch Castle, tour the imposing Parliament Buildings or learn about the natural and human history of the province at the Royal British Columbia Museum. From historic hotels to charming B&Bs, we can ensure your accommodations are the perfect fit for you. For a stately stay or even just an afternoon tea, the Empress Hotel is an iconic Victoria best bet. British Columbia’s capital has all the conveniences of a modern city, presented with a distinctive British touch. A few days in Victoria is the perfect island getaway – this “City of Gardens” is a lush backdrop for the bustling harbor surrounded by museums, restaurants, colourful buskers, artists and unique shops, and is a perfect base for whale watching out on the Salish Sea. The waters surrounding Tofino and Ucluelet are among the most prolific marine habitats in the world. Traveling through the traditional territory of the Tla-o-qui-aht First Nations, it’s not unusual to see orca whales, humpback whales, dolphins, seals and sea lions, or hungry wolves and bears scavenging along the shore. Tofino isn’t just a summer destination – winter brings passionate storms and pounding waves, perfect for days of stormwatching from the window of a cozy Oceanside cabin. Our Insider tip: Skip the line up at local favourite Tacofino and request delivery right to your room. Looking out across the beach in Tofino you could easily convince yourself that you’ve traveled to the edge of the earth. This is the wild west coast where not many choose to venture to, and those who do are richly rewarded.